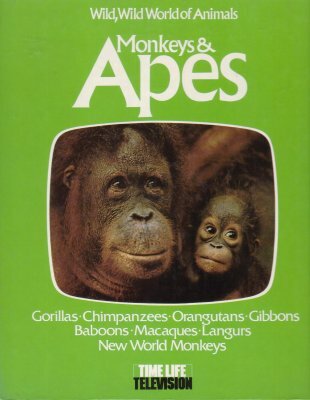 Click here for Children's Primate Books. Classification & distribution of living macaques, evolution, comparative anatomy of living forms, molecular genetics, and ecological & behavioral data obtained from specialized field studies. B/W photos, charts, graphs. 384 pgs. Information on breeds of monkeys for comparison as pets, and diet. Pictures very faint but good information. Printed on demand from microfiche. About monkeys in general, housing, feeding, taming, training, health& sickness, old world species, new world species. B/W photos. 64 pgs. An introduction to the 12 Families of primates, which are from the 80 Genera of 244 Species. Tupaioids, Lorisoids, Lemuroids, Tarsioids, Hapaloids, Pithecoids, Ceboids, Cercopithecoids, Cynopithecoids, Coloboids, Simioids, & Hominoids. Along with a systematic list of living primates, and an analysis of the taxonomy of living primates. B/W & Color photos. Maps. 200 pgs. Lemurs, bush babies, gibbons, mandrills, spider & rhesus monkeys, baboon, etc. 80 pgs. Covers info on the: Gorillas, chimps, orangutans, gibbons, langur, colobus, baboons, macaques, new world monkeys, & marmosets. Based on the television series Wild Wild World Of Animals. Color photos. 128 pgs. Monkeys do find their way into the home,and when they do, the sympathetic owner will want to treat his pet with kidness it deserves. All monkyes and apes discussed here are often kept in homes, and few have trees to climb in. 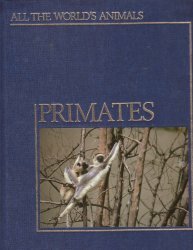 Filled with useful information about the characteristics and requirements of primates. The rhesus monkey, the wooly monkey, capuchin, marmoset, and the chimpanzee. B/W photos. 64 pgs. by: Napier, J.R. & Napier, P.H. 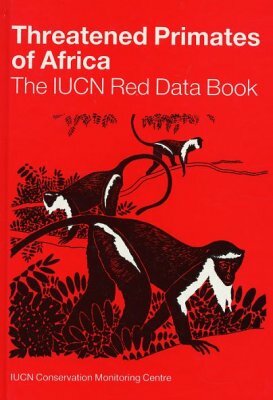 Half of the book is a compact full profile of primates, figured and described genus by genus from around the world. The other half gives a clear account of their classification origins, social behaior, evolution, structure & function. Range maps, line drawings, B/W & color photos. 200 pgs. This book examines several species with emphasis on natural history, behavior & ecology. Topics include geographical distributions, habitat preferences, territorial arrangements, activty rhytms, feeding techniques, defense mechanisms, and competition and cooperation among individuals of the same species. 263 pgs. This is the story of probably the most elaborate & best documented attempt which has so far been made to teach a chimp to use sign language. 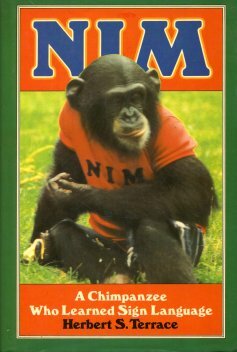 Its hero is a young chimp named Nim Chimpsky, who from 1973-1977 was intensively trained in American Sign Language. This is a fascinating & often moving & funny account of an intelligent animal & his relationships with a large number of devoted teachers. B/W photos. 303 pgs. 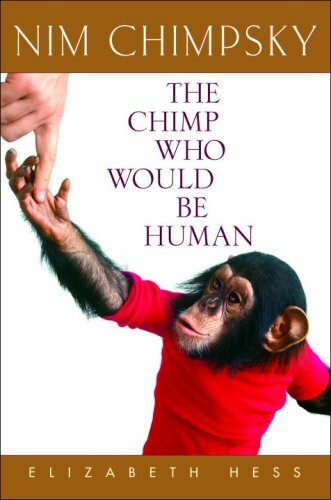 Drawing on interviews with the people who lived with Nim, diapered him, dressed him, taught him, and loved him, Hess delivers the heart-tugging true story of Nim, a baby chimpanzee whose human-like manners and behavior have made him a celebrity in 1973. Nim's story is by turns moving, tragic, and hilarious, and has raised profound questions about what it means to be human, and what we owe to the animals who so enrich our lives. Photos. 368 pgs. 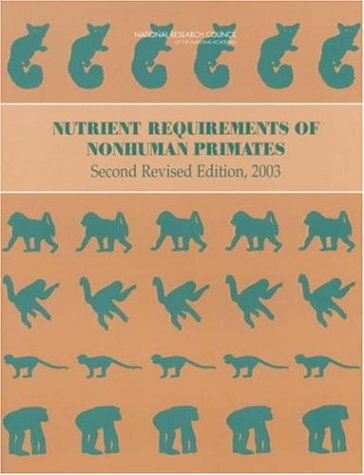 This new release presents the wealth of information gleaned about nonhuman primates nutrition since the previous edition was published in 1978. 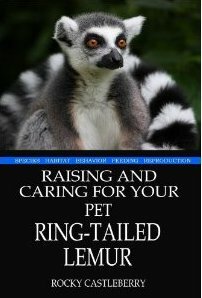 With expanded coverage of natural dietary habits, gastrointestinal anatomy and physiology, and the nutrient needs of species that have been difficult to maintain in captivity, it explores the impact on nutrition of physiological and life-stage considerations: infancy, weaning, immune function, obesity, aging, and more. The volume covers requirements for energy: carbohydrates, including the role of dietary fiber; proteins and amino acids; fats and fatty acids; minerals, fat-soluble and water-soluble vitamins; and water. The book also analyzes the composition of important foods and feed ingredients and offers guidelines on feed processing and diet formulation. 308 pgs. With this extraordinary pictorial essay, Galdikas brings to life her work with the orangutans of Borneo, taking readers to her remote rainforest headquarters. 100 full-color photos. Coffee-table size. 144 pgs. 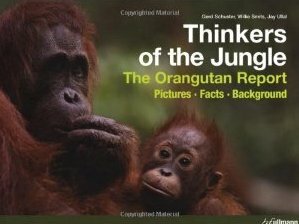 Describes in amazing detail how orangutans learn from each other, mother their young, and communicate. It wrestles with intriguing questions such as, how do orangutans cope with grief and whether they are conscious or self-aware. 191 pgs. Orangutans are our closest relatives - sharing an astonishing 97% of our DNA. 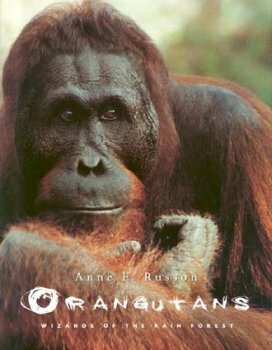 This extraordinary book about orangutans focuses primarily on their minds, and is based on the ten years of research that author and scientist Anne E. Russon has undertaken studying orangutan behavior. Includes a scientific history of orangutans, a description of orangutans and their natural habitat, their behavior patterns, rehabilitation operations of Camp Leakey & Wanariset, a look at orangutans released back into the forest, as well as what the future holds. Over 100 photos taken by the author during her visits to the rain forest. 222 pgs. 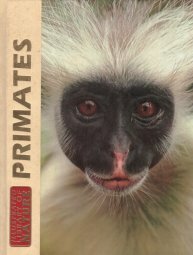 Illustrates the entire primate order with over 500 photographs. Contains a synopsis of what is currently known about 234 species. Includes: taxonomy, characteristics, habitat, diet, life history, locomotion, and behavior for each species. 263 pgs. The newsletter & journal of the IUCN/SSC Primate Specialist Group. Contains Annoucnements, News from the Field, News from Captivity, & Articles from Central & South America, Africa, & Asia. Contains news & articles titled: New speices of squirrel Monkey from Brazilian Amazonia; The IPS Conservation Committe; International studbook current through 1985; New books by and for PSG members; The Okomu Forest project; Albino Capuchin at Sapucaia do Sul Zoo; Minutes from a Lemur conservation workshop; Primate populations in Northen Bolivia; Pan paniscus in Salonga National Park; Status report on some Chinese primates; and many mant more. B/W photos, charts, graphs. 162 pgs. Habitat, behavior, diet, daily activity patterns, predation, social structure, reproduction, home range. B/W photos. Graphs. 207 pgs. Biologist Barbara Sleeper offers insights drawn on her many years spent observing primates in the wildest Africa, Asia, & Central & South America. A marvelous blend of words & images, it illustrates more than one hundred species in two hundred superb color photos, including rare photos of lesser-known species such as the aye-aye, the mandrill, the golden langur, and South America's small marmosets. 176 pgs. Text & color photos describe the world's primates. 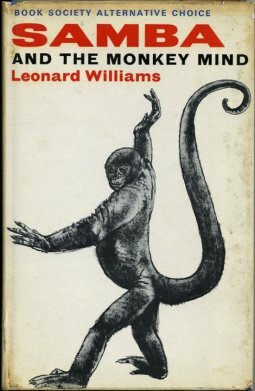 Covers: prosimians, monkeys, apes, tree shrew, & flying lemurs. Information on primates includes: classification, common features, physical descritpions, summary of species or species groupings, ecology, behavior, evolution, size, life span, diet, feeding behavior, social dynamics, realtionships with man, & much more. Magnificant color photos, color illustrations, distirbitution maps. 160 pgs. Describes: what a primate is and how it differs from man & other animals, the classification of the primates, their history, primates & their habitats - past & present, family life, communication, social life, aggression, defense, comparisons to human behaior, the role of primates in science. B/W & Color photos. 200 pgs. What are primates? How strong is a gorilla? These & nearly 100 other questions about primates are addressed with clear, thorough answers that are accompanied by photos from award-winning photographer Gerry Ellis. Color photos 194 pgs. History of Northeast India, people of the Northeast, forest types in the northeast, primate evolution, primate ecology, primate societies, primate social relationships, primate habitats, primate food & common trees, profile of the primates of the northeast (Loris, Macaques, Languars, Gibbon), and conservation problems in the northeast. B/W drawings & illustrations. 208 pgs. New & Old world monkeys, reproduction, parental care, feeding, enemies. The author demostrates, with wit & impeccable reasearch, that the cognitive, emotional, and social capacities of apes should entitle them to freedom from imprisonment & abuse. It offers Wise's argument to secure the blessings of liberty for chimpanzees and bonobos. Despite the cognitive, emotional, social, and sexual sophistication exhibited by both species, Wise acknowledges that advocating the legal personhood of what others might consider hairy little beasts leaves him vulnerable to ridicule and marginalization as a fringe academic. In this unprecedented, yet long-awaited book, Wise finally breaks through the wall that has separated non-humans from human animals for centuries. He reveals that, while the way we view animals is changing rapidly, the courts remain mired in the dark ages. This book has everything needed to convine judges, scientists, lawyers, and millions of others the injustice of denying animals their basic legal rights. 362 pgs. Description, social structure & behavior, vocalizations, ecology. B/W photos 311 pgs. Samba & The Monkey Mind Revised Edition. The keeping of a group of woolly monkeys in captivity with a family. The keeping of a group of woolly monkeys in captivity with a family. B/W photos. 144 pgs. Wwildlife photographer Mitsuaki Iwago has turned his eye to these enchanting primates. Pink-faced with shaggy gray fur, snow monkeys are among nature's most curious creatures, but until now have not received thorough photographic attention. Considered national treasures in Japan, they live in the snowy mountain forests and love to play. 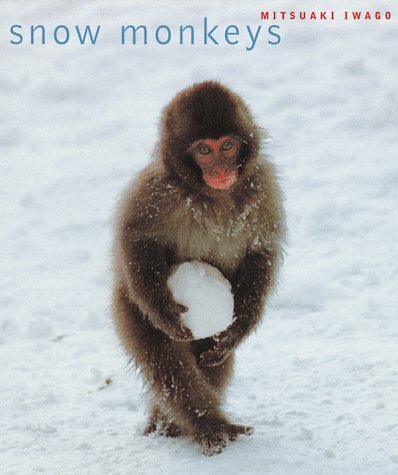 Snow Monkeys begins with a series of astounding photographs of the monkeys cavorting with snowballs, climbing trees, and happily roughhousing. They also love to make a splash in Japan's many natural hot springs. (So much so, that once when Iwago was enjoying a dip, one of the monkeys joined him!) Snow Monkeys provides a rare glimpse of these amusing and marvelously photogenic creatures. Over 100 full color photographs. 159 pgs. With the beginning of Project Washoe in 1966, sign language studies of chimps opened up a new field of scientific inquiry. Reviews the unique procedures that were develpoed & the extensive body of evidence accumulated over the years. B/W photos, charts, & graphs. 323 pgs. Plight of African primates & conservation problems in the wild. B/W photos, maps. 155 pgs. A comprehensive guide including scientific and common names, number & distribution of species, measurments & physical traits, habitat, daily & seasonal activities, population dynamics, home range, social life, reproduction, longevity, and status of threatened species. Recently extinct species are covered in full. 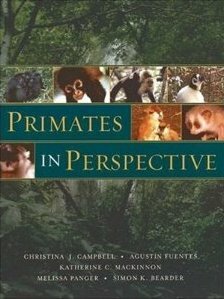 Text summaries present well-documented descriptions of the physical characteristics and living habits of primates in every part of the world. B/W photos. 224 pgs. Evolution, anatomy, behavior, research, primates in captivity, conservation. Covers: dwarf lemurs, true lemurs, sportive lemurs, indris & safakas, aye-ayes, lorises, galagos & bushbabies, taries, marmosets & tamarins, new world monkeys, old world monkeys, gibbons & lesser apes, humans & great apes. Color photographs. 128 pgs. Observations of 2 years of study in Africa with mountain gorillas. B/W photos. 258 pgs.